 We’d Love to Hear from You! At KO Skin Specialist Centre, we offer a complete line of treatment to eradicate your skin dilemma. Founded by Dr. Ko Chung Beng in 1997, KO Skin Specialist has been providing a comprehensive range of in-depth services in the field of dermatology, medical aesthetics and cosmetic surgery. KO Skin Specialist stood among the pioneering skin and aesthetic clinic in Malaysia. 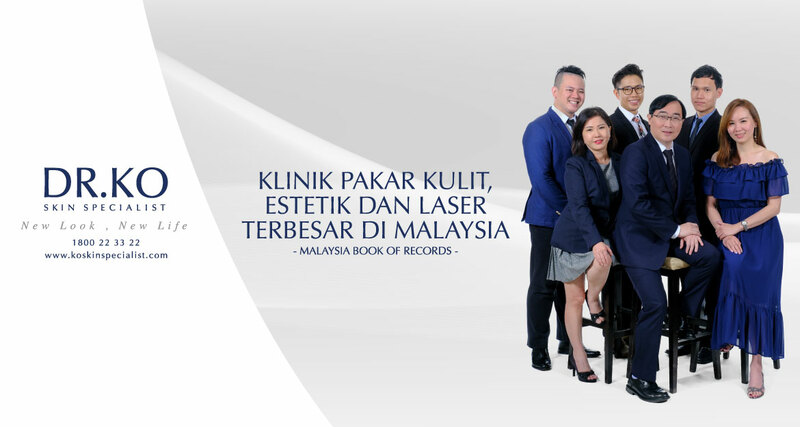 Today, KO Skin Specialist is proudly recognized as one of Asia’s leading dermatology, laser and medical aesthetic clinic, gaining trusts of medical professionals and clients across the globe. Embark with us on a journey to discover your beauty potential and regain your confidence. Aside from modern equipment and techniques, we also have experienced personnel with a positive and willing attitude. An accurate understanding of your condition will lead you to the best possible treatment and outcome. With consistent use of skin care products tailored for your skin, a smooth, radiant complexion is not a dream. Our products are formulated by our own team of professionals, with proven results in combating signs of aging, acne, and other skin problems. As one of the leading expert in the medical and cosmetic dermatology, we are proud to present: Dermax Clinicare, KO Dermaceutical, KO Series, and eKo.